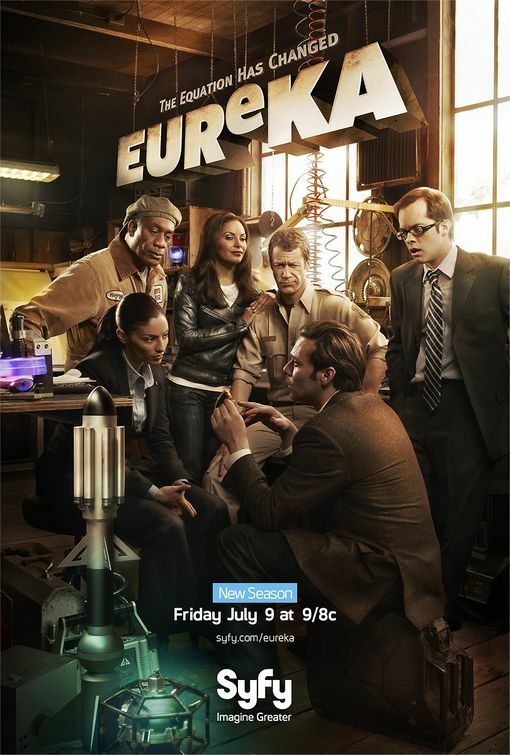 If you were a fan of Syfy's Eureka that ran for five seasons on the genre cable channel, then you'll enjoy these props from the series about a town of super-scientists and their futuristic experiments. 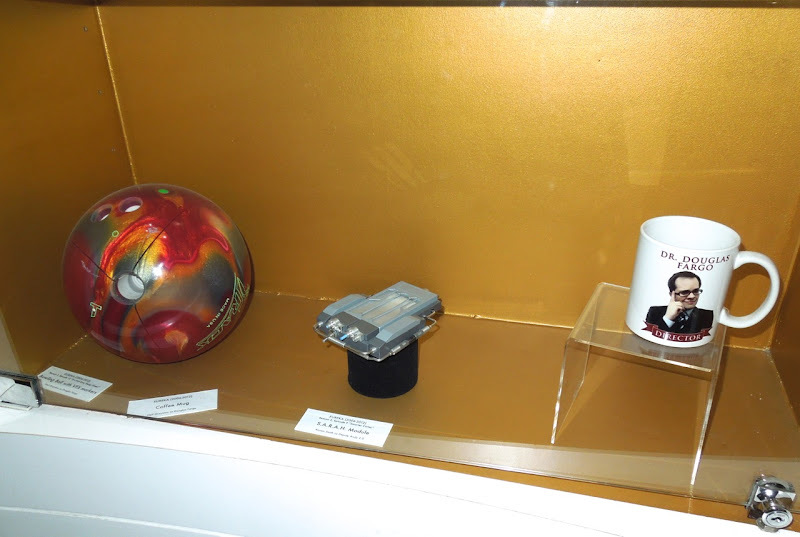 Included in the exhibit at Universal Studios Hollywood on February 7, 2013 was a coffee mug featuring the accident prone 'Dr. Douglas Fargo', one of the quirky scientists that inhabit 'Eureka' (played by Neil Grayston). 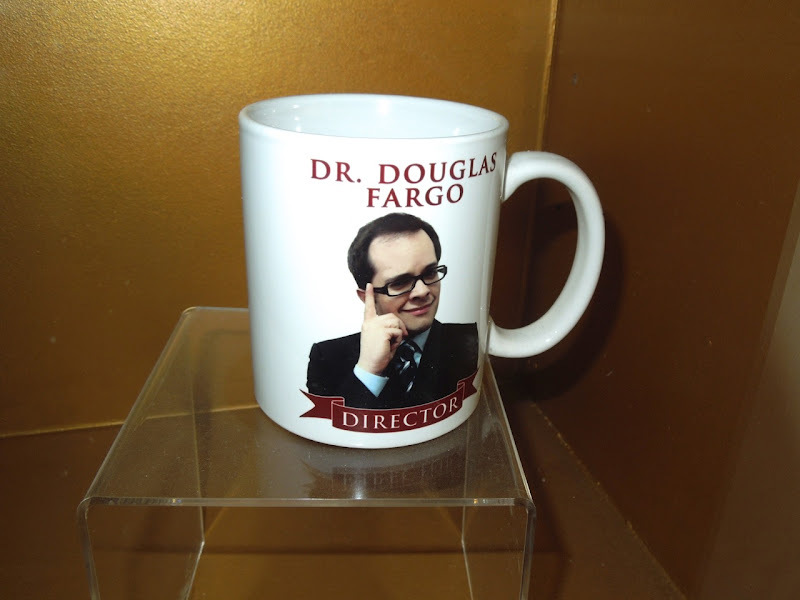 This mug is from an alternate timeline where he is head of the research lab at Global Dynamics. 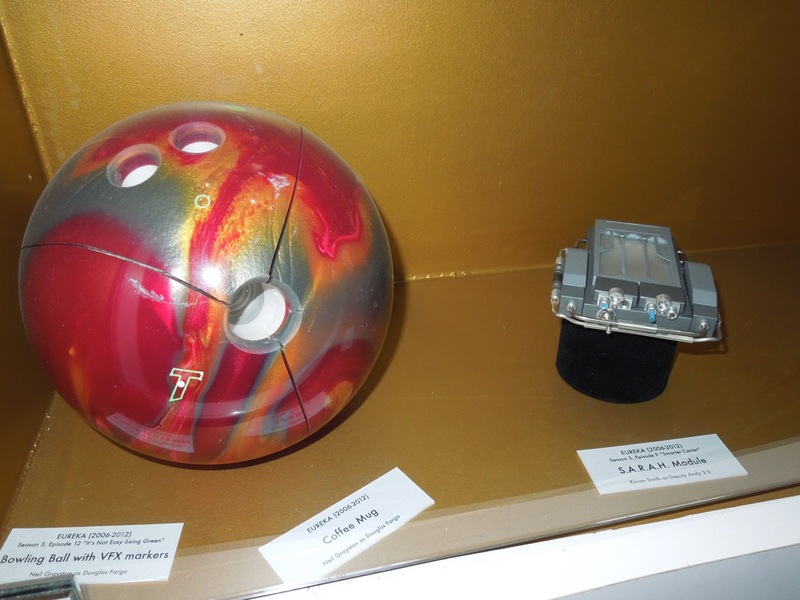 In addition there was also a cool S.A.R.A.H. module for the Self Actuated Residential Automated Habitat smart house featured in the show. If you like these props from the show, then check out this Sheriff Jack Carter uniform and Bridge Device prop from Eureka on display too.